The 2015 Thematic Tournaments have been announced by Leonardo Madonia of the ICCF Thematic Office; these are unrated events, starting from a themed position. There are both server and postal options. Good Luck to the West Wales Team following their promotion to the 1st Division of the Counties & District CC Championships. The 2015 ICCF Congress will be held in Cardiff, Wales from 16th to 22nd August. A flag fall will automatically end a game as a loss in all ICCF tournaments starting after 1st January 2015. Players will have 14 days to appeal. Players in team matches will be able to claim directly to tournament directors in team games. 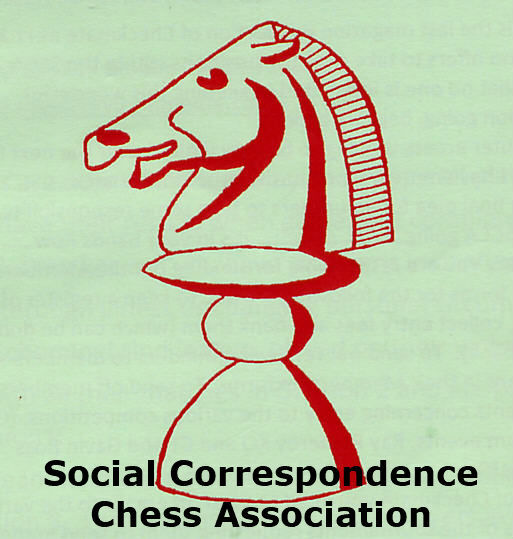 The "FIDE Laws of Chess" will not apply to correspondence chess from 1st January 2016; these rules will be replaced with "The ICCF Laws of Correspondence Chess". The traditional blitz tournament was won by FIDE IM Gary Lane (AUS). The day started with the usual formalities and an opening speech by the ICCF President, Eric Ruch. Each delegate was then invited by the General Secretary to introduce himself and accept his voting card. The morning was taken up with awards, including all title awards, which were moved from later in the week to allow visitors and accompanying people to participate in the full day partner programme offered by CCLA. Unfortunately still no awards for Wales (maybe next year!... ), but as proxy for England and Peru, I collected some medals and certificates, notably the Silver Bertl von Massow Medal for Richard Hall, and medals and certificates for my good friends Andrew Dearnley (IM and SIM), Toni Halliwell (LGM) and Phill Beckett (IA). The afternoon continued with Qualifications business, including a narrowly defeated proposal from the Qualifications Commissioner to allow title norms in national events, and some special title applications which resulted in some very interesting discussion. The Financial and Direct Entry reports were presented later in the afternoon. In the evening there was a very enjoyable banquet in the hotel, with a warm welcome from the CCLA President, Shaun Press. This morning we will commence with the Services Director's report, presented by yours truly! I am currently attending ICCF Congress in Sydney, Australia as ICCF Services Director and National Delegate for Wales. I am also representing England and Peru by proxy. On Sunday there were meetings of the ICCF Executive Board and Management Committees, however the full session of Congress starts today with the opening and award ceremonies. There are no awards for Wales this year, however I will be proud to collect the IM and SIM title on behalf of my good friend and delegate for England, Andrew Dearnley who is unable to attend this year for health reasons. I will post any important decisions made by Congress, and maybe some photographs, here on the WCCF website. The final decision of Congress, on Wednesday, will be the venue for the 2015 event, WCCF have made an offer to host next year's Congress in Cardiff in August, so we keep our fingers crossed for a positive decision this week! Team captains are Andrey Pavlikov (Russia) and Artis Gaujens, Latvia (Rest of the World). Tournament Director is Eric Ruch (France), IA, ICCF President. Each ICCF member federation (excluding Russia) may nominate 5 main players and any number of reserve players for the RoW team. Reserve players will be included in the RoW team if there is a lack of players from other countries. Number of boards (approximate 50) will be defined by the team captains using list of applications received. Board order in each team is defined according to the classic rating list valid on October 1, 2014. Initial positions are different at each board. At each board, two games are played, one with White pieces, one with Black pieces. Time control is 10 moves in 50 days. The games are rated in ICCF chess 960 rating system. The start date is December 1, 2014.